A financial advisory firm offering investors a customized approach necessary to plan for a meaningful retirement. We can help you prepare for your future. The future is built today. Our goal is to provide you with effective, personalized financial strategies. 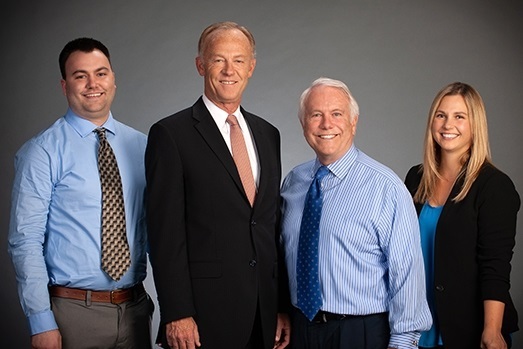 We are a financial advisory firm based in Saint Charles, Illinois, in the practice of wealth creation and preservation. We specialize in investment, retirement, estate and tax planning strategies. We are a full-service financial advisor, focusing on all aspects of our client's financial plans. We have been servicing our client’s financial needs for more than 30 years. We serve as a trustworthy financial partner by ensuring that all of our recommendations are made with the client's best interest in mind. Our thirty years of experience allows us to work with our clients to help them navigate each life event and economic climate change, no matter the simplicity or complexity. If you are in need of a financial advisor or tax-planning strategist in the Fox Valley area, please reach out to us today. There's a lot of confusion around the new Tax Reform and Jobs Act. Luckily, we're here to help. This Ebook will tell you everything you need to know about the biggest tax overhaul in 30 years. If you have any questions, please reach out to us. We are here to help.